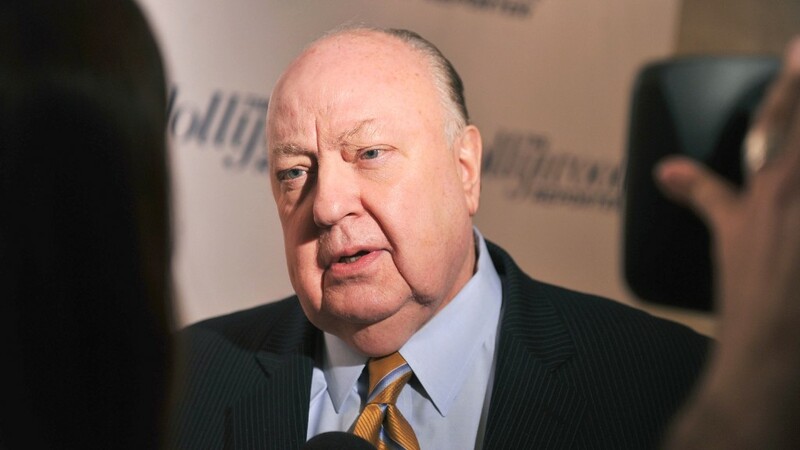 Just how important is Roger Ailes to 21st Century Fox? Well, let's just say that you could call him "The $2.3 Billion Man." Twenty-First Century Fox (FOXA) does not break down revenue for individual cable channels in its financial reports. But research firm SNL Kagan estimates that Fox News generated $2.3 billion in sales last year, an increase of 14% from 2014. That amounts to about 8% of Fox's total sales in its latest fiscal year. What's more, Fox News revenue grew more rapidly than both of its main rivals. CNN revenues were up 6% while MSNBC's rose 3%, according to SNL Kagan. What's more, Fox News is insanely profitable. Pivotal Research analyst Brian Wieser wrote in a report Wednesday that the estimated operating profit of $1.6 billion for the network works out to nearly a quarter of Fox's overall operating profit. "Fox News is one of the most important media properties in the industry. More than a source of influence for some (and agitation for others), it is a highly profitable entity that accounts for a large share of its parent company's value," Wieser wrote. So with Ailes out at Fox News following allegations of sexual harassment, investors have legitimate reason to be worried about the future of the network. Former Fox News anchor Gretchen Carlson filed a sexual harassment suit against Ailes (but not Fox) earlier this month. That's why it will be important for Fox to quickly right the ship at its namesake news channel. As my colleagues on the media beat have reported, there are concerns about high-profile talent, most notably Bill O'Reilly and Megyn Kelly, leaving the network after their contracts are up. Fox's stock, is flat for the year, and has lagged most of its media rivals on Wall Street. Time Warner (TWX), which owns CNN, and NBCUniversal parent Comcast (CMCSA) are each up about 20% in 2016. Viacom (VIAB) and CBS (CBS) are up 8% and 17% respectively too -- but that may have more to do with hopes Sumner and Shari Redstone will reunite the two. The Redstones are battling Viacom CEO Phillippe Dauman over the future of the company. Only Disney (DIS), which is actually down 5% this year, has had a worse performance than Fox. The fact that Fox has not done as well as most other major media conglomerates may be one reason why the Murdoch triumvirate that controls the company -- Rupert and his sons James and Lachlan moved so swiftly to remove Ailes. For one, the Ailes soap opera was overshadowing legitimately good news at the company's FX cable network. The "People vs. O.J. Simpson" anthology series generated big ratings and 22 Emmy nominations. The younger Murdochs also seem to get that Wall Street is more focused on how the Hollywood side of the business is doing than the drama at Fox News. After all, the movie studios and broadcast network account for more than half of Fox's total revenue. And Fox has other pressing issues outside the cable unit. Ratings at the Fox broadcast network are a problem. "American Idol" has ended its run and the only other major hit the network has is "Empire." The company's movie studio also is in need of more blockbusters. "Deadpool" -- based on a Marvel comic -- is the only big success so far this year. Fox will report its latest quarterly results in early August. Analysts are expecting a nearly 10% increase in sales, but a decline in earnings per share. So while the problems at Fox News are generating the most headlines due to their salacious nature, they're far from being the only challenges facing the Murdochs -- and Fox investors -- right now.